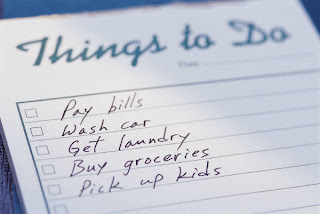 Do you need to make lists, like I do, in order to remember everything you need to get done in a day? Have you ever wished you had a complete checklist of all the things you need to remember for your public speaking gigs? 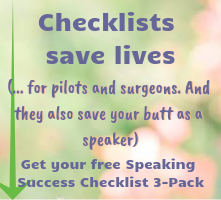 Have I got the checklist for you - and it's free! 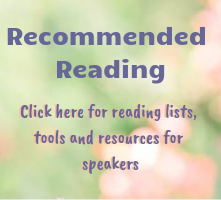 Look for my Presentation Readiness Checklist on the right-hand sidebar. You can even add your own items to the checklist, in case there's anything I've forgotten, or special reminders you need for yourself.